Home » Stock Market » Sensex tanks 500 pts, Nifty below 10,200; what weighed on the stock market? 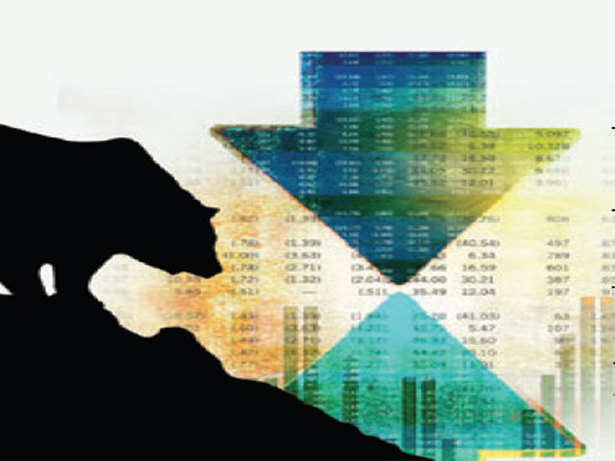 NEW DELHI: The domestic equity market again came under heavy selling pressure on Friday, with both the headline indices Sensex and Nifty, plunging over 1.50 per cent each. The BSE Sensex tumbled 510 points to 33,176, while the NSE Nifty slipped below the 10,200 level to 10,195.15, down 165 points. Here’s a look at the top factors that pulled indices lower on Friday. The TDP has moved a no-confidence motion against the NDA government on the issue of granting special category status to Andhra Pradesh, according to a PTI report. Already, the YSR Congress’ motion against the government is pending. The government, however, exuded confidence that it has the numbers to ride out the crisis. The motion will be the first such move during the tenure of this NDA government. The head of the most influential US business lobbying group Chamber of Commerce has warned the Trump administration that the tariffs on Chinese goods could lead to a destructive trade war, which will hurt American consumers and economic growth. US Chamber of Commerce President Thomas Donohue in a statement on Thursday said that such tariffs, associated with a probe of China’s intellectual property practices, would be “damaging taxes on American consumers,” Reuters reported. Most of the Asian stocks were on the defensive on Friday, as worries over the US investigation into the Trump Organisation tested investor nerves, which were already hit by fears that the US tariffs could hurt the global economy. On Thursday, the S&P 500 edged 0.08 per cent lower, marking its first four-day losing streak of 2018. Many big guns of Dalal Street have turned cautious on the equity market. Moreover, NSE CEO Vikram Limaye had recently said that the valuations in the stock market were still too high and fundamentals need to catch up with them. “There is liquidity in the market which has driven valuations and, at some point of time… there is a need to have fundamentals that justify valuations,” Limaye had said. The Nifty50 index on Thursday formed a bearish candle on the daily chart. Market experts said that lower high lower low formation on the index indicated negative bias. The index has been seeing stiff resistance around the 10,400-10,500 zones. Experts had said the index may see further selloff if it slides below the 10,333 level. “Nifty is sustaining below its 20- and 50-day SMA, which signals negative bias. On the downside, immediate support remains around 10330 and violation of this support will cause accelerated down move towards 10,300-10,270 levels. The momentum indicator Stochastic turned bearish from overbought zone indicating slowdown in upside momentum,” said Rajesh Palviya, Head – Technical & Derivatives Analyst, Axis Securities. Politics and stock market: Is further correction in offing after Sensex, Nifty react to TDP’s exit? How Facebook Helps In Making Friends?